Starry accessories will make you shine. 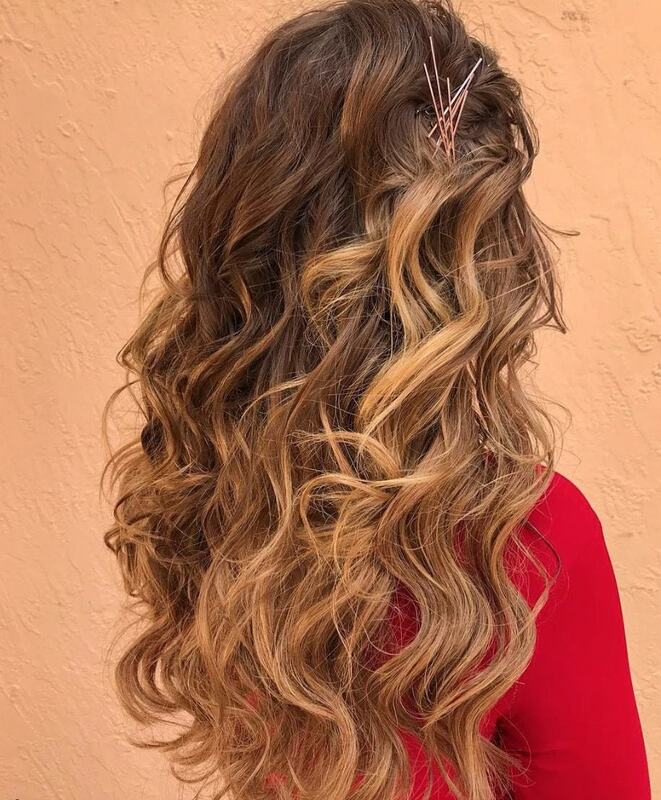 Use your bobby pins to make a statement. Add a touch of fanciness to a classic style. Accessorize with your own strands. All of the Instagram-inspired fall wedding hairstyles you need. Take a simple ponytail way up a notch by scattering star-shaped barrettes throughout the base of the style. Place the clips on one side of your head for an off-center avant-garde look. 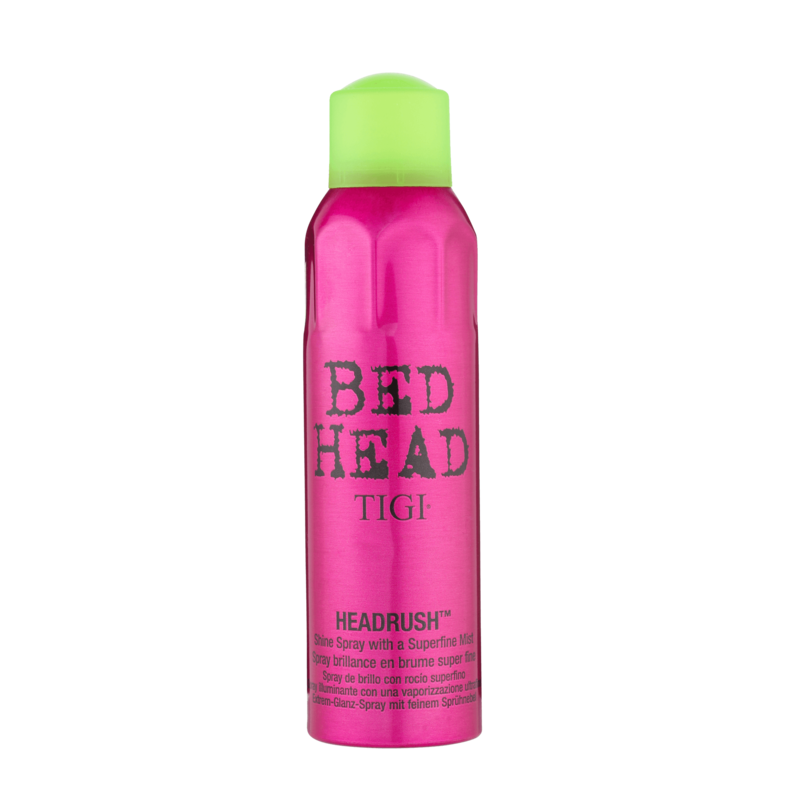 Sebbag raves about Bed Head by TIGI Headrush Shine Hairspray and says that her returning clients ask for it again and again. 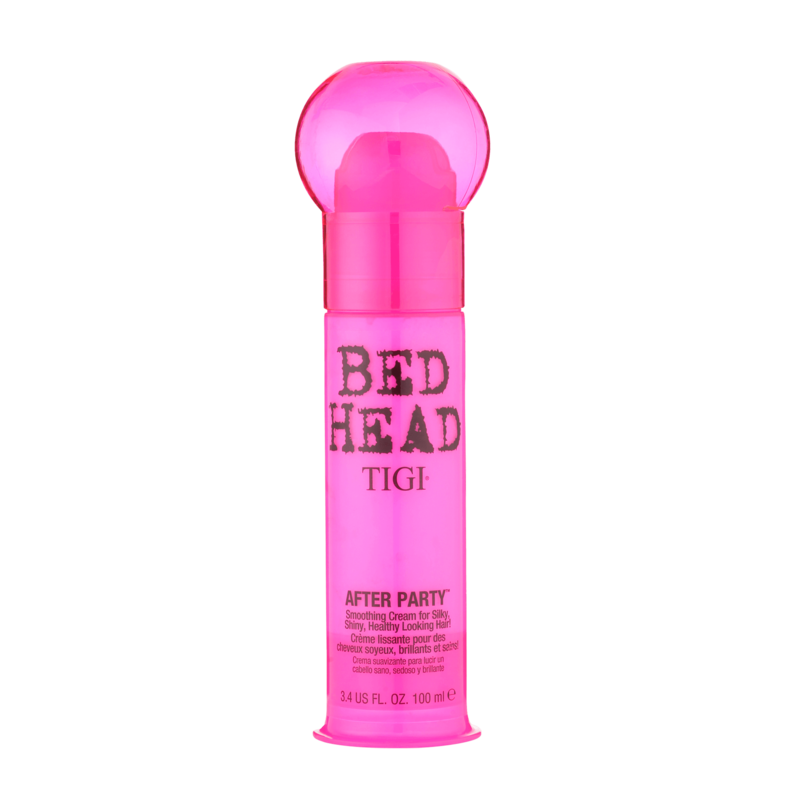 The perfect way to give any style a strong finish, this shine spray will also make your style glisten all night. It doesn’t hurt that it smells amazing, too. 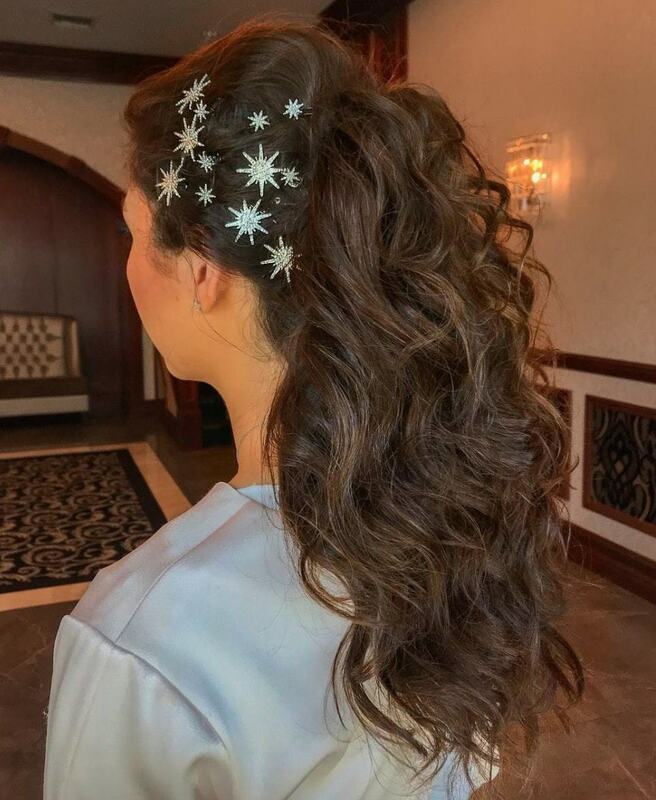 The modern pinned-up curls leave nothing to the imagination and today’s hairstylist might choose to expose her secrets in exchange for a geometric look. 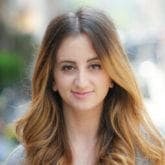 Exposed bobby pins work just as well as when they’re hidden and have the added benefit of serving as their own D.I.Y. accessory. 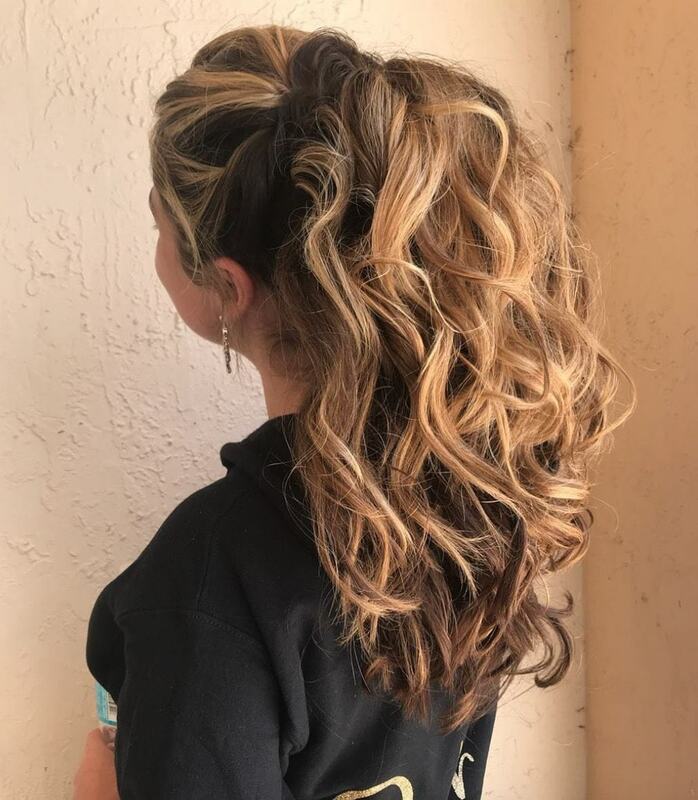 Go the extra mile with a super voluminous ponytail that will have you feeling the most glam you ever have. A strong-hold hairspray like TRESemmé Compressed Micro Mist Hair Spray Extend Hold Level 4 will lock your ponytail into place and make sure it doesn’t weigh itself down throughout the night. 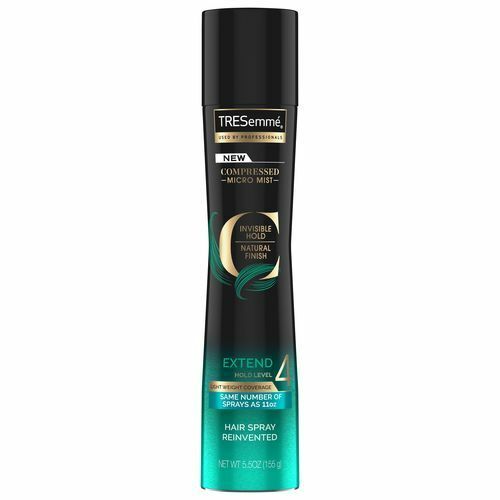 Sebbag loves TRESemmé‘s hairsprays for how effective they are and says they just work, plain and simple. Add a touch of fanciness to a classic style. Photo credit: Penina Sebbag. We love the feminine touch of a scattered collection of pearls placed throughout a classic, fancy style like this one. 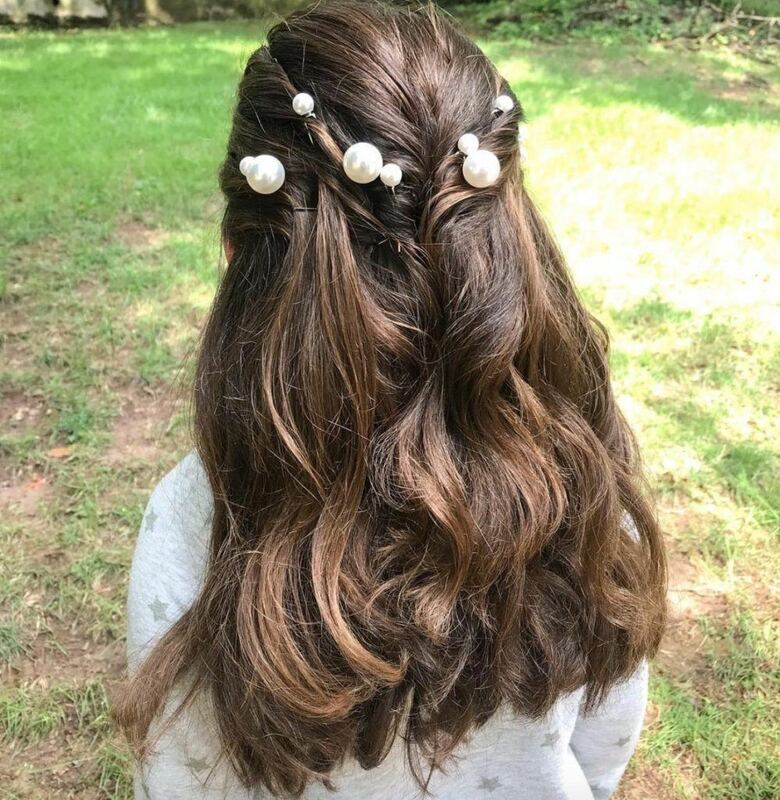 Sebbag is known for her signature placement of the trendiest and most unique accessories and we love the contrast of these pearls against a head full of soft curls. Accessorize with your own strands. Photo credit: Penina Sebbag. 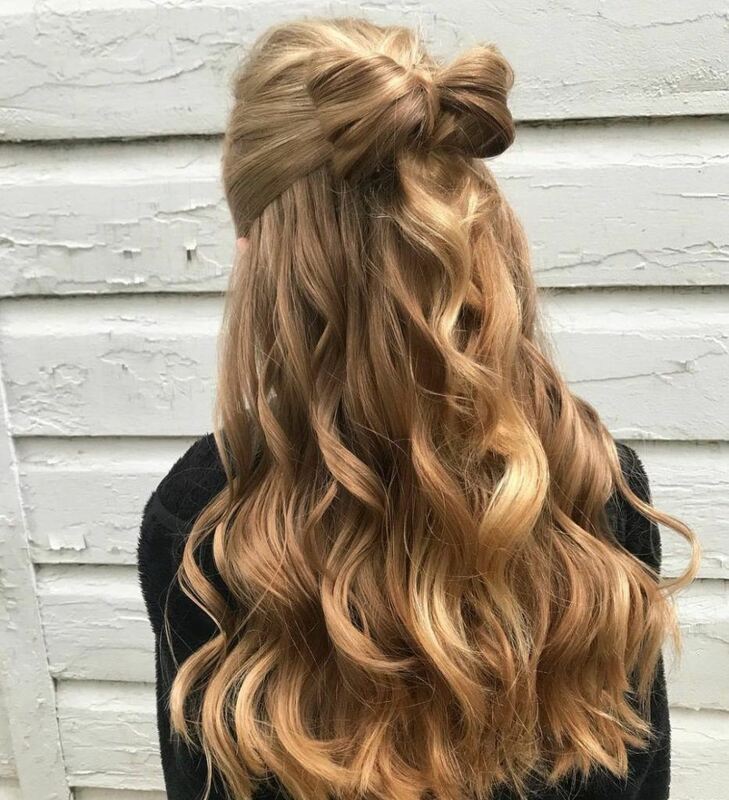 Use Sebbag’s favorite hair cream, Bed Head by TIGI After Party Smoothing Cream, to create this beautiful and unique bow style made out of your own hair. This smoothing hair cream will help you create a style that’s as close to perfection as possible. Check out some wedding accessories for the big day.